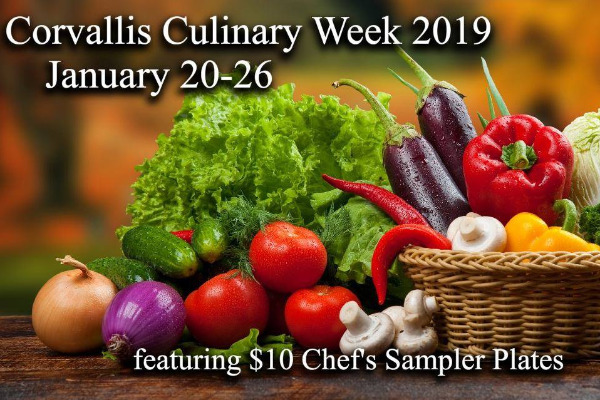 Welcome to the 11th Annual Corvallis Culinary Week featuring $10 Chef's Sampler Plates! Local chefs offer their special Sampler Menu to Culinary Week guests. Reservations are suggested where applicable. Please contact participating restaurants. Get ready to enjoy this exciting opportunity to celebrate the plethora of gastronomic offerings in our community! Watch this Facebook event for additions, updates, announcements, and complete information.